Crewe vs Carlisle predictions as they meet in League Two on Tueaday. Which of these in form sides will be able to continue their excellent form? Read on for our preview of the match and all our free betting tips below. This Tuesday sees two of the most in form sides in League Two face off against each other in a hastily re-arranged fixture following the postponement of their original clash at the end of January. Both sides are looking excellent at the moment and the in form Crewe Alexandra look to take a step closer to securing their survival when they welcome a Carlisle United side who are hunting for promotion come the end of the campaign. 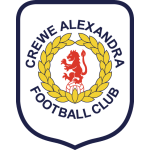 Crewe Alexandra have eased the pressure on themselves considerably since Christmas with three wins and two draws from their last five games, which has helped them to secure a 14 point cushion over the drop zone and, in all likelihood, their League Two survival. It is all quite the turnaround from a side who looked destined to be among the relegation dog fight come the end of the season, but an impressive home record has seen them win 10 of their 15 matches in front of their own fans and they currently have the fourth best home record in the division. 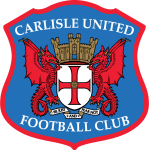 Carlisle United remain one of the form teams in League Two, and even though they were held to a 1-1 draw at home to Exeter City at the weekend, they have still managed an impressive eight wins from their last 10 games. That result also means new manager Steven Pressley remains undefeated in his opening few matches as Carlisle boss, after he was appointed when former boss John Sheridan left to take up a role at National League side Chesterfield. The Cumbrians have been in excellent form on their travels and the 26 points they have managed on the road is the third best away record in the division. When you also consider that they won the last four meetings between these two sides, they should be fully confident in their ability to get the result. With both sides in such great form at the moment, they should both come into this match full of confidence and that should ensure that they both go on the attack from the off. When you also consider that both sides are showing some of their best form in front of goal at the moment, we think that backing both teams to score represents the best chance of a decent return. Crewe have scored in each of their last eight matches. 76% of Crewe’s points have been earned at home. Crewe have scored 72% of their goals at home. Crewe have won their last four home matches. Carlisle have scored in 80% of their away matches. Carlisle are undefeated in 67% of their away matches. Carlisle are top of the League Two form table with 19 points from their last eight matches.